Beach, swim, sleep; repeat. Photo courtesy of Montage Los Cabos. When a place has earned its spot on our Top Places to Travel in 2019, you know it's good. The Baja California Peninsula has clear blue waters, fresh design, and seriously good guacamole. Punta Lobos beach. Photo courtesy of Hotel San Cristóbal. What’s to Love: A hippie, happy eco-chic town 45-minutes north of Cabo San Lucas on Mexico's Baja California Peninsula. 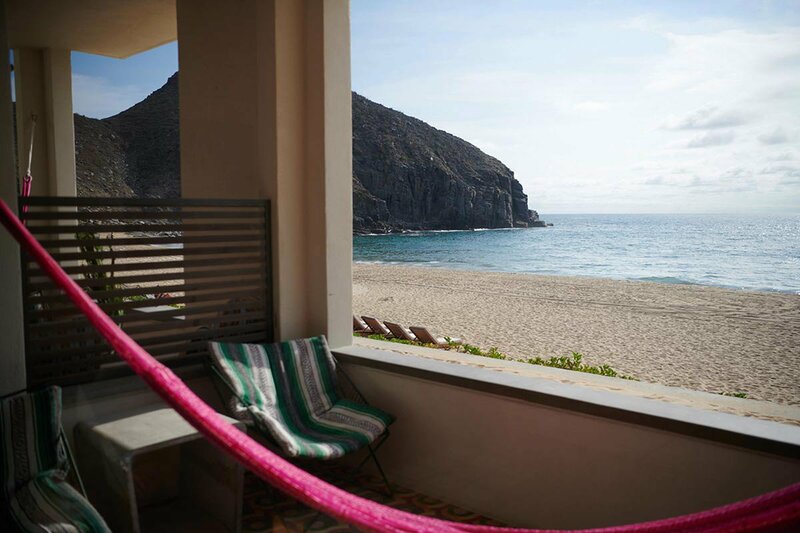 This hidden treasure has long been a haven for travelers, surfers, artists, and bohemians seeking tranquility away from the hustle of Cabo. The infamous surf break of Playa Cerritos beach is a great place to ride the cerulean-blue waves — rent a board or arrange a lesson from Mario Surf School. Pescadero or Punta Lobos are also great beaches to stroll: Pitch an umbrella in the sand and allow the vitamin D to soak right in. For dry land explorers, walk the cobblestone streets of tiny artisanal boutiques, or hit the trail above Punta Lobos for breathtaking views of the old fishing port, home to a sea lion colony. Don’t miss Restaurant Bar Bahia — a super-casual corner spot in Todos Santos with awesome fish tacos and ceviche (cash only). 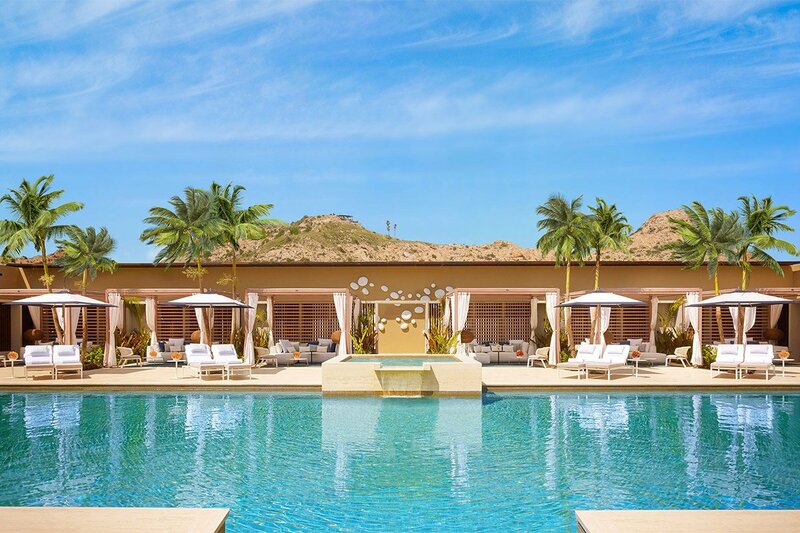 Where to Stay: Hotel San Cristóbal, a beachside desert oasis by Texas hotelier Liz Lambert of Bunkhouse Group, and the perfect place to relax by the pool, sip mezcal in colorful-chic kimonos, and simply sleep in. On a budget? La Bohemia Baja is an eight-room boutique bed-and-breakfast hideaway among a lush tropical garden and steps away from the center of town. The best buzz in Baja. Photo by Crystal Meers. What’s to Love: A few miles south of sister town Todos Santos, Pescadero is an abundant and shockingly green oasis in the dry Baja desert, its roads filled with palm groves leading to the endless golden beach. 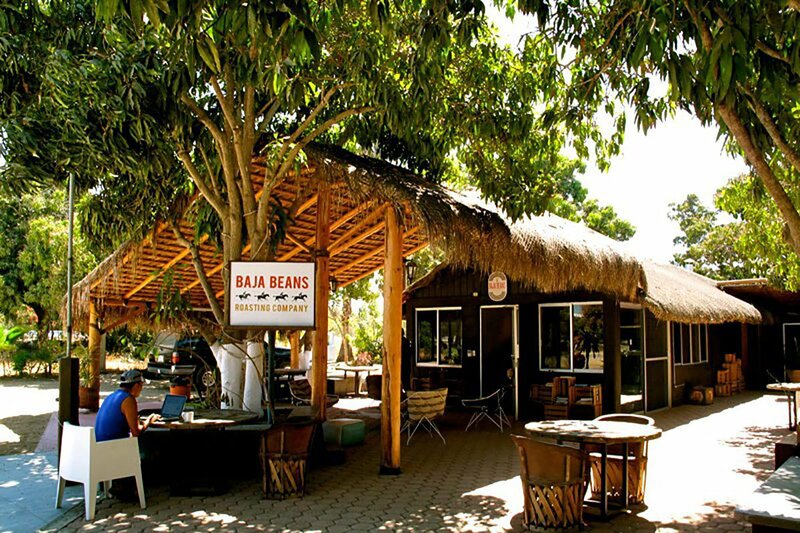 Just off the main road is Baja Beans, serving the best coffee and community in town. It’s your chance to hang with locals, check your email (if you must...), and enjoy live music on Sundays, when they host a farmers market with produce and arts and crafts. (Pro tip: Try the chocolate cake.) Enjoy a few meals at Hierbabuena in the middle of a garden surrounded by farmland: It’s the most popular restaurant in the Todos/Pescadero area for good reason. Where to Stay: Rancho Pescadero is an adults-only hotel with a relaxed vibe and the very best Mexican hospitality. Expect fresh coffee and pastries brought to your door in the morning. (Though the huevos rancheros are not to be missed.) Hotel Punta Pescadero Paradise is the top spot along the East Cape for fishing, diving, and the adventurous getaway. What’s to Love: The southern tip of the Baja California Peninsula, commonly known as Los Cabos, refers to the adjacent towns of Cabo San Lucas on the Pacific Ocean and San José del Cabo on the Sea of Cortez (also where the international airport is). While the infamous Zona Hotelera (hotel zone) used to dominate the college spring break scene, Cabo San Lucas has officially graduated, with new high-design boutique hotels, romantic seaside villas, Hakkasan restaurants Casa Calavera and Herringbone Los Cabos, and nary a tequila shot in sight. 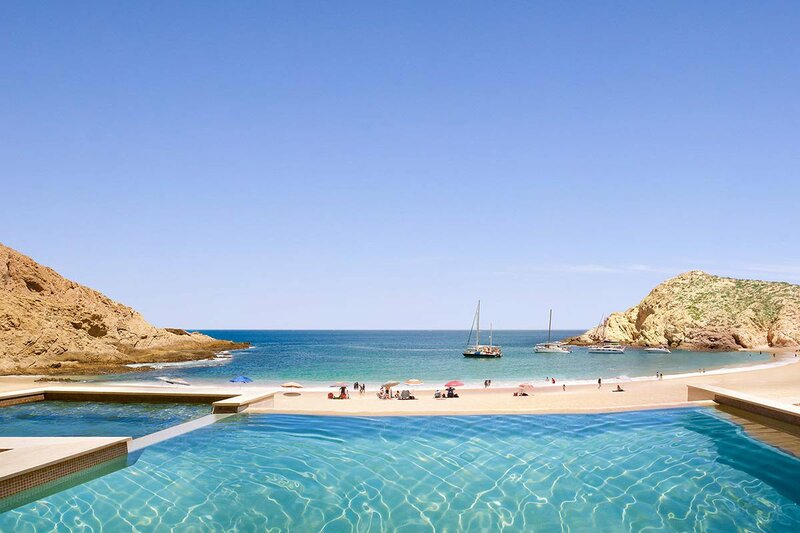 Good to know: Cabo is best for pool loungers, as swimming is prohibited on most beaches due to the strong ocean undertow. Photo courtesy of Montage Los Cabos. What’s to Love: Less of a party town than Cabo San Lucas, with a more laid-back, small-town lifestyle. It’s best for artists, foodies, and travelers looking for a little more culture and authenticity than the all-inclusive resorts that Cabo is known for. Take a stroll to the quaint center square, where colorful shops, galleries, and restaurants populate the streets. Whale shark in La Paz. Photo by Matthew Rader/Unsplash. 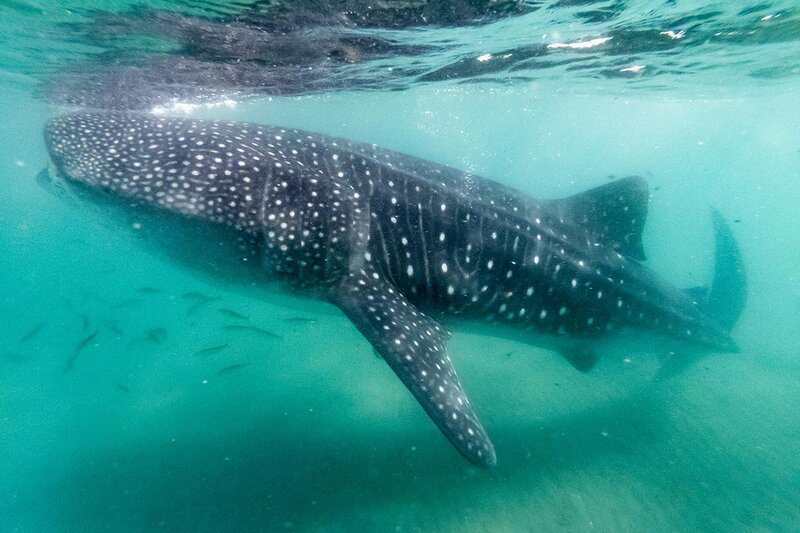 What’s to Love: A chance to swim with whale sharks, as Fun Baja's crew are experts in spotting the wild creatures. Take a day trip to the natural sanctuary of Isla Espíritu Santo and snorkel or scuba dive with the sea lions of Los Islotes. Those interested in whale watching should travel to Baja between December and April. Where to Stay: CostaBaja Resort & Spa is La Paz’s original five-star resort surrounded by a private marina — a complete oasis where the desert meets the sea. Sleep under the stars at the luxury glamping site Camp Cecil in beautiful and ultra-chic safari tents overlooking the Sea of Cortez on Espíritu Santo Island. Vena Cava winery. Photo courtesy of Vena Cava. What’s to Love: Drive two hours south of San Diego, and you'll discover one of the world's most interesting and up-and-coming wine regions. Yes, in Mexico. 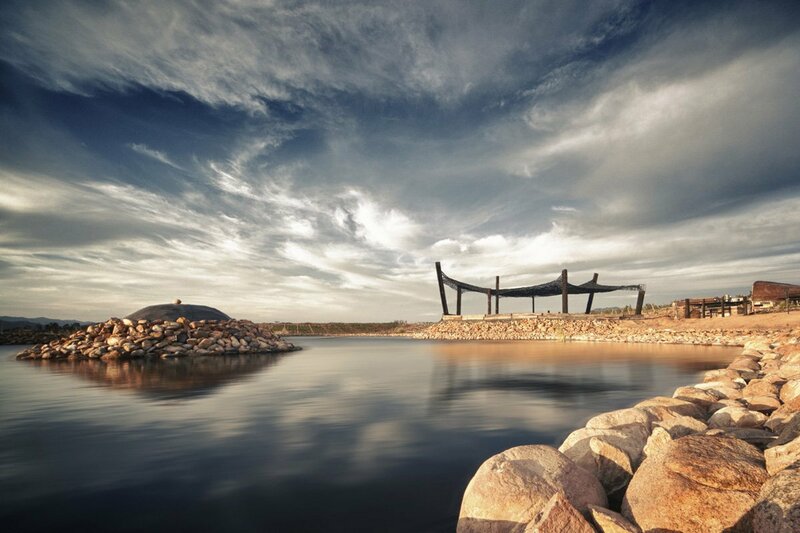 Valle de Guadalupe is special and limited, as most wineries are small in production and have very little distribution outside the country. Tres Mujeres is an all-female collective of wine producers where you’re likely to hear their stories and meet one of the owners as she pours your flight. If you only do one thing, drink three kinds of Mexican bubbly and eat everything at Conchas de Piedra, where everything is prepared on a wood fire in the outdoor kitchen. Where to Stay: There are no chain hotels in the Valle de Guadalupe. (Yet.) Of the luxurious, modern boutique hotels, Encuentro Guadaloupe has stunning views and individual, modern cabins hanging off the cliffs. La Villa del Valle is a pretty Tuscan-style country retreat by the Vena Cava group. Finca la Divina is a four-bedroom inn run by beloved local chef Javier Plascencia near his restaurant, Finca Altozano. Villas El Cielo is a lovely and modern option on the El Cielo winery. Hacienda Guadalupe is a nice mid-range option. Keep your tan and explore more Fathom beach stories.